We have just gone through the first half of the ZOL Startup Challenge finals and have watched six of the nine finalists presenting their ideas to the panel of judges. The first session also contained two fireside chats with Garth Drummond from classifieds.co.zw and Victor Chaitezvi from Microsoft South Africa. They spoke on online business in Zimbabwe and finance and investment in the African tech ecosystem. The day is not yet over though. There will be three more startups pitching this afternoon with a another fireside chat with David Behr and Denny Marandure, the executives from ZOL. Part of the afternoon session will be a discussion on the role of tech hubs in the Zimbabwean startup ecosystem. As was the case with the first part of the day, we will be providing updates of the ZOL Startup Challenge on social media as well as periodic live crossovers on Star FM. 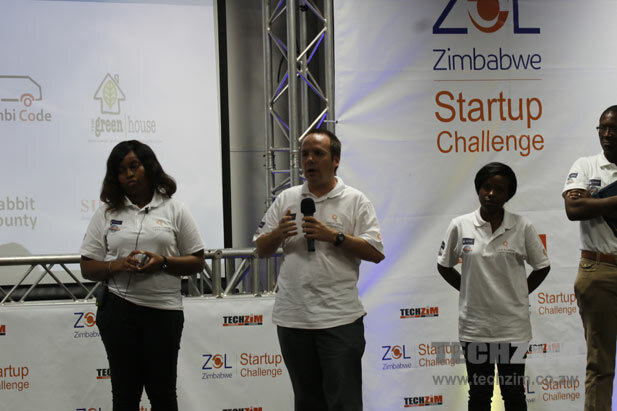 Here are the winners of the ZOL Startup Challenge 2014!